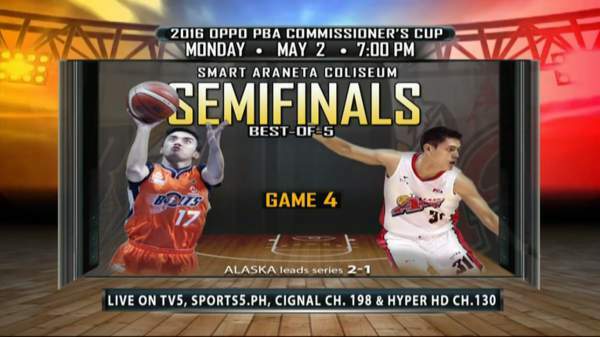 Meralco vs. Alaska: Semifinal Schedule, Results, TV and Live Stream Info (2016 PBA Commissioner's Cup) - Balita Boss! The 2016 PBA Commissioner's Cup semifinals best-of-five series between Meralco Bolts and Alaska Aces kicks off on Monday, April 25. Check the complete schedule, results, TV and live stream info below.